Muhammad Munawar Mohd Nawi is 55. 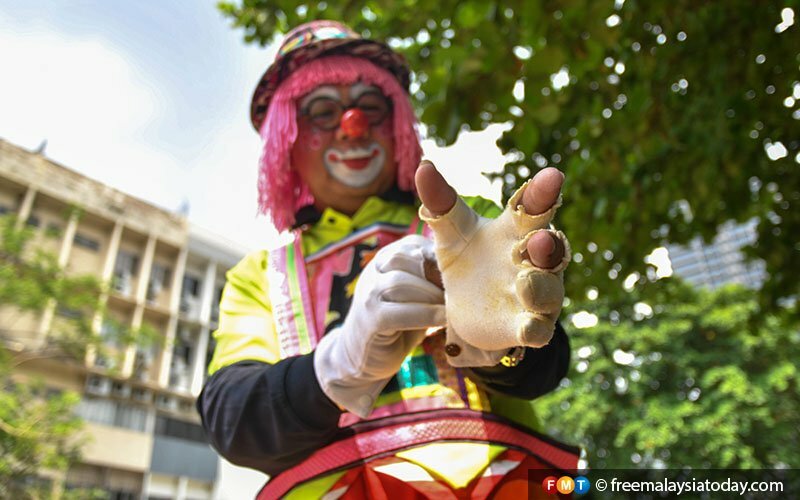 Nearly half his life has been spent bringing joy to children as Labu the Clown. 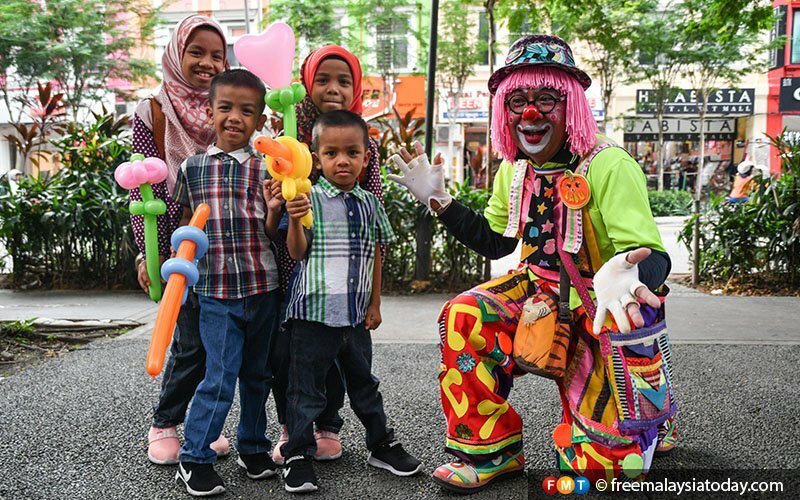 He entertains crowds almost every weekend at Sogo shopping mall in downtown Kuala Lumpur. 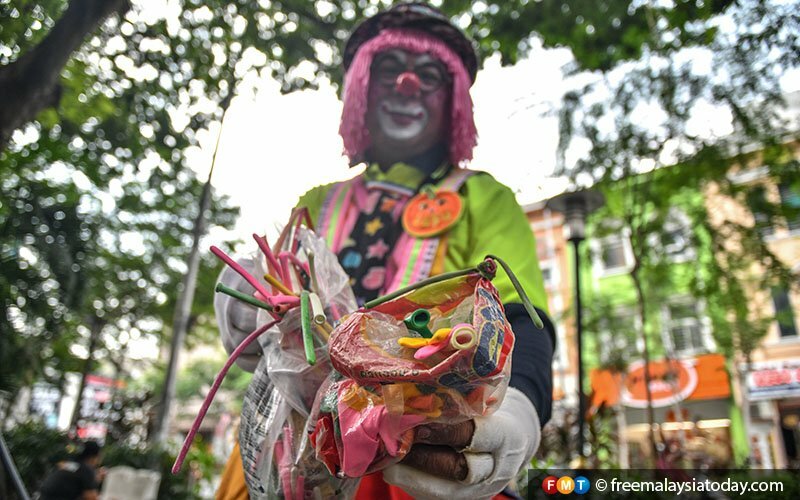 It may be a declining trade, but Munawar believes there will always be room for a few clowns to put a smile on people’s faces. 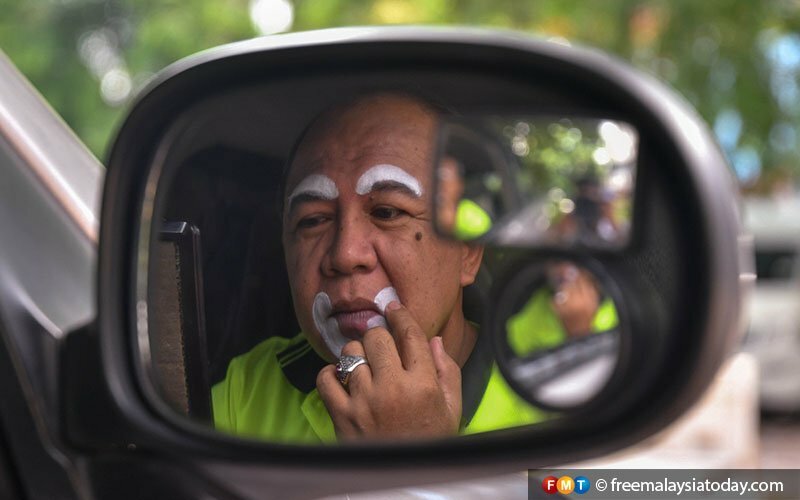 Muhammad Munawar Mohd Nawi pauses to inspect his reflection in his car mirror as he applies the make-up that will transform him into Labu the Clown. Make-up is essential to Munawar's performance as it helps portray his personality as Labu. 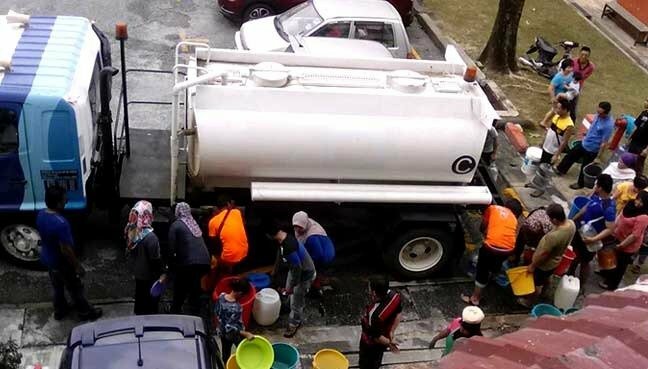 It takes nearly an hour for Munawar to transform into Labu. 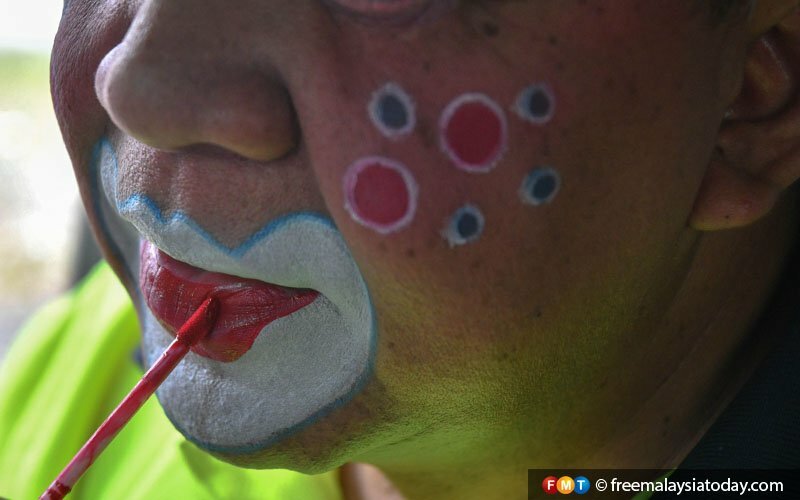 Make-up done, Munawar gets into his hand-made clown costume outside his mobile dressing-room – his car. All set: Labu is ready for the crowds. Even Labu's shoes are carefully selected to showcase his cheerful demeanour. 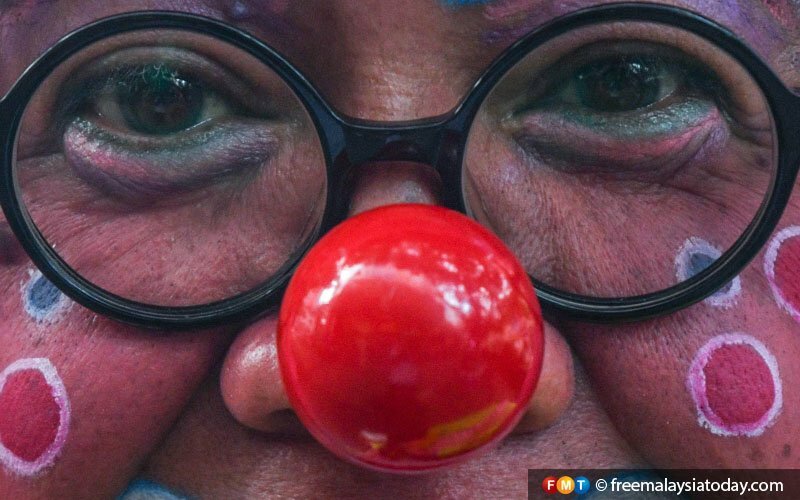 A clown's not a clown without the trademark red nose. The pumpkin-shaped name tag that tells children the name of the clown. 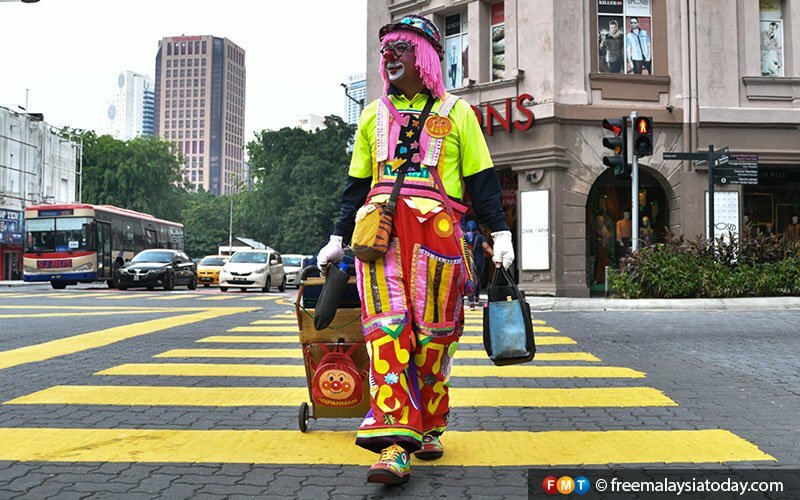 Labu the Clown turns heads as he strolls through the streets of Kuala Lumpur. Balloons in hand, Labu is ready for his performance. Each balloon goes for about RM2. 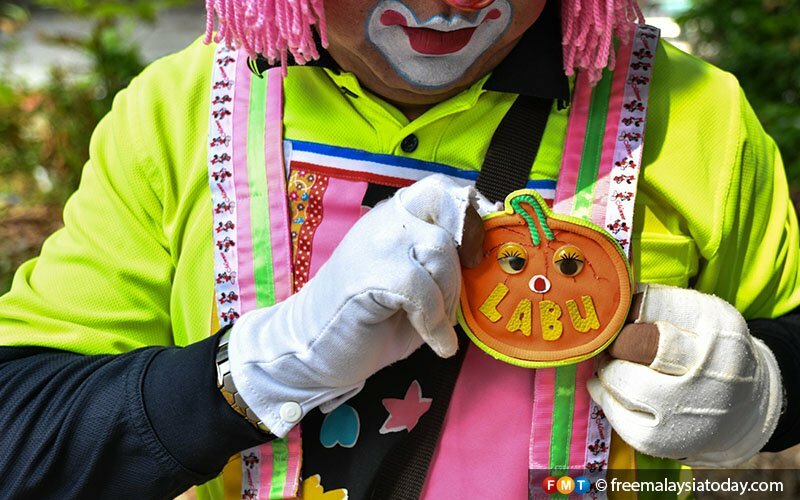 Labu, doing what he loves most: making children smile.